Like a fine wine, some technological solutions are not getting to be out of date, but instead, are just showing signs of improvement with age. Dot Net Developers are around the world with estimated about 6 million Dot Net Developers. There are a lot of great tools that exist out there, but we have narrowed down the list to the ones that you can’t afford to miss out. 1. 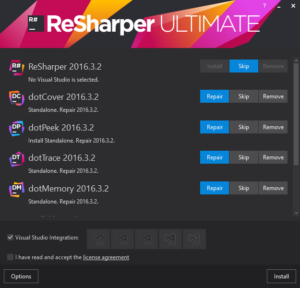 Resharper – Easy to analyze code quality. Code and you will get to know if your code needs to be improved right away. Acquaint yourself with hundreds of quick-fixes to solve errors automatically. Know more about Reshaper. 2. GitHub Extension for Visual Studio – Once you install the extension, you can log into your GitHub.com or GitHub Enterprise account in Visual Studio with full support for two-factor authentication. And the best thing about this is there is no need to use personal API tokens. Know more about Github Extension. 4. LINQPad – Test your code snippets before getting it implemented into your code. The major perk of using this tool is its built-in debugger, autocomplete feature and free standard edition with no expiry. Know more about LINQPAD. 5. 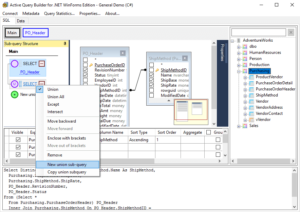 NDepend – There’s no doubt that NDepend is an excellent tool. We can wholeheartedly recommend it to any developer who wants to improve the quality of their code. When you have to analyze a lot of code there is no better static analysis tool than NDepend. Know more about NDepend. 6. Fiddler – Any web developer that needs to quickly and easily expose dynamic data grids should consider this tool. It also provides immense flexibility and allows us to quickly and easily provide almost any kind of requested data view. Know more about Fiddler. 7. Active Query Builder for .NET – It allows you to build any type of complex queries and make database schema clear for end-users. You no longer need to worry about “tiny” syntax differences that sometimes cause errors. Know more about ActiveQueryBuilder. 8. NuGet – Looking for a package manager, then NuGet is the best client tool which provides the ability to produce and consume packages. Know more about NuGet. 9. Microsoft Web Platform Installer – This is absolutely free. It is a package management software which makes it easy to access the latest components of the Microsoft Web Platform, including IIS, SQL Server Express, .NET Framework, Visual Web Developer, and much more. Know more about Microsoft Web Platform Installer. 10. Web Essentials for Visual Studio – Get the basics of web development through the Web Essentials extension for Visual Studio. In just one extension one can get custom editors, a Browser Link to immediately see changes in the browser, TypeScript, Less, Markdown, and CoffeeScript support. Know more about web essentials for visual studio. We know, your choice of .Net tool will rely greatly on the specific task or situation. Using these top tools for .net application development can free you from routine tasks and automate many processes, thus optimizing your performance and eliminating errors.